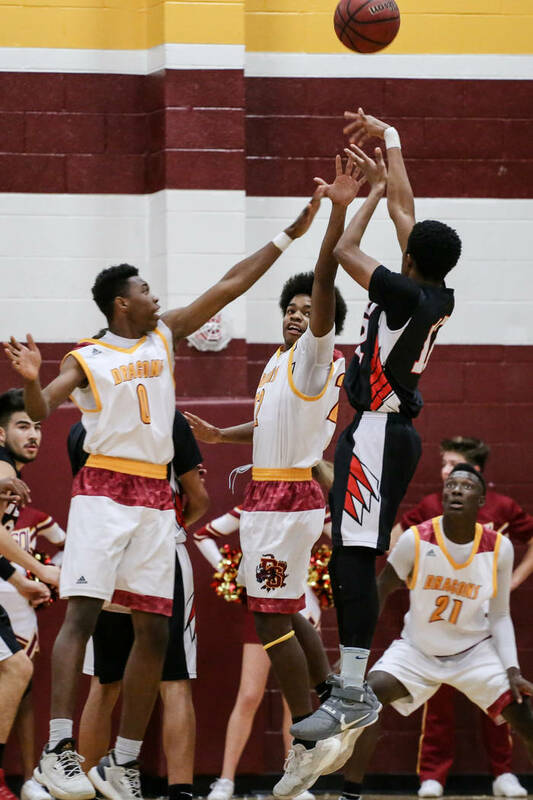 Keith Seldon scored 25 points, and Del Sol unleashed a 1-2-2 trapping zone defense in the second quarter to secure a 67-49 victory over Tech on Thursday night. 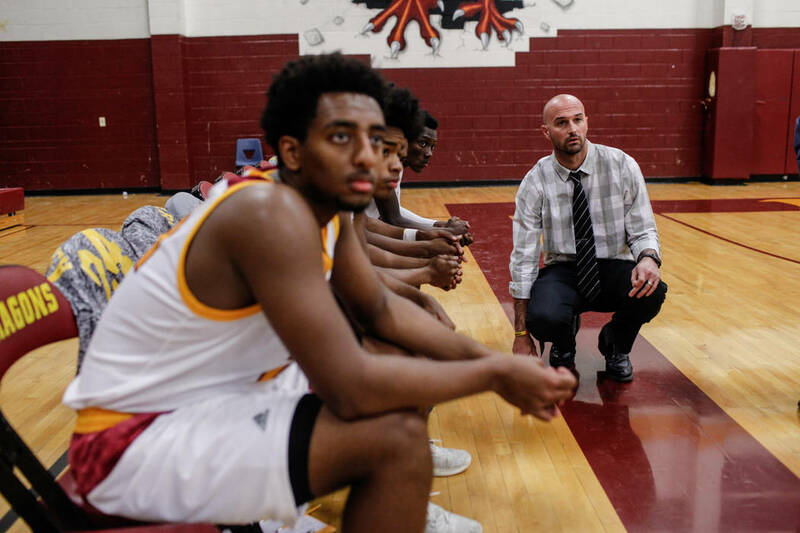 Easy enough game plan for Del Sol on Thursday night. 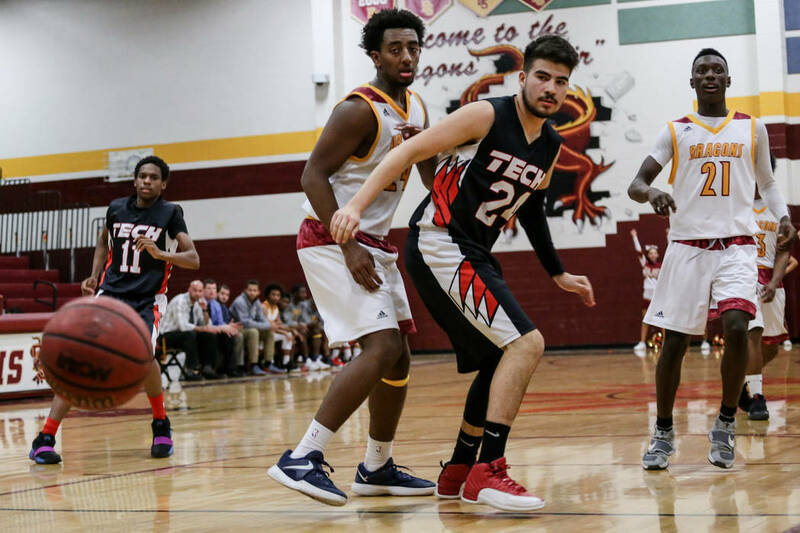 The Dragons forced a dozen turnovers and outscored Tech 24-7 in the second quarter en route to an emphatic 67-49 home victory. 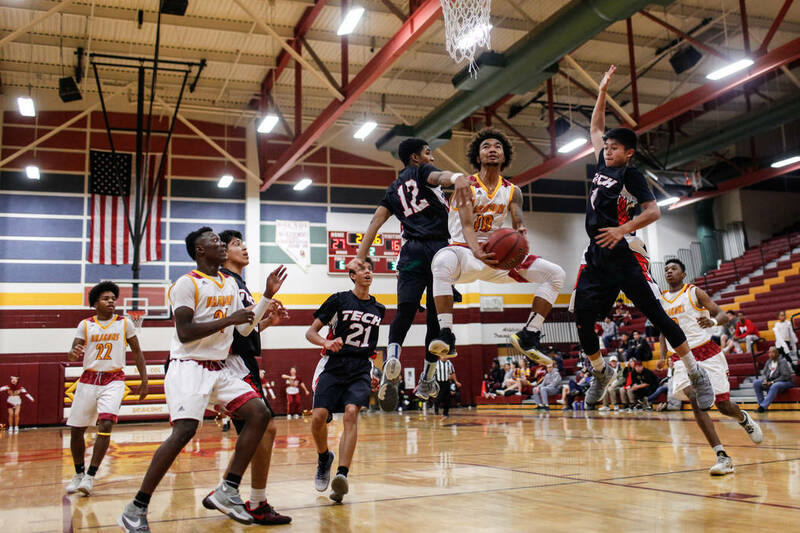 Senior guard Keith Seldon made four 3-pointers to finish with a game-high 25 points, and sophomore forward Nati Asfaw added 12 points for Del Sol (5-3, 3-1 Class 3A Sunrise League), which led 36-18 at halftime and 56-34 after three quarters. 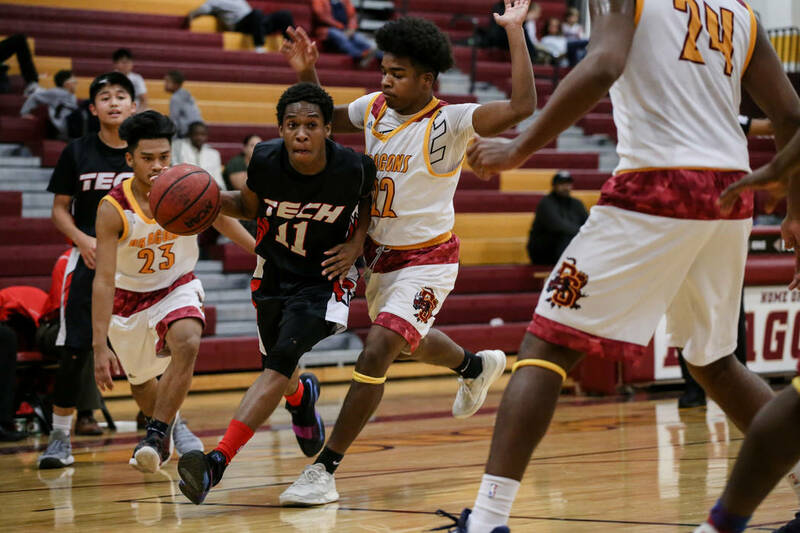 Tech’s guards attacked the basket in the early going, and the Roadrunners (5-5, 2-1) controlled the pace until the very end of the first quarter. 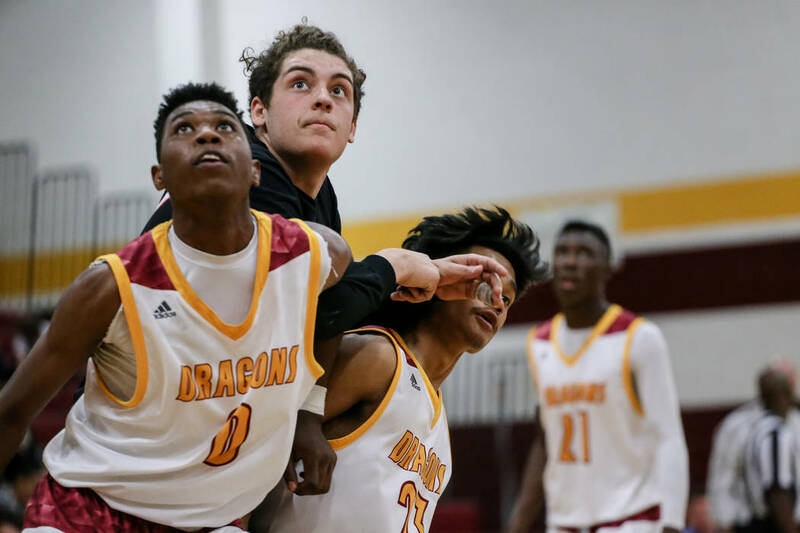 Ehrke turned to a 1-2-2 three-quarter-court zone defense to start the second quarter, and the Dragons’ guards coaxed the Roadrunners’ ball-handlers right into the trapping areas, where they were swallowed by aggressive double-teams. 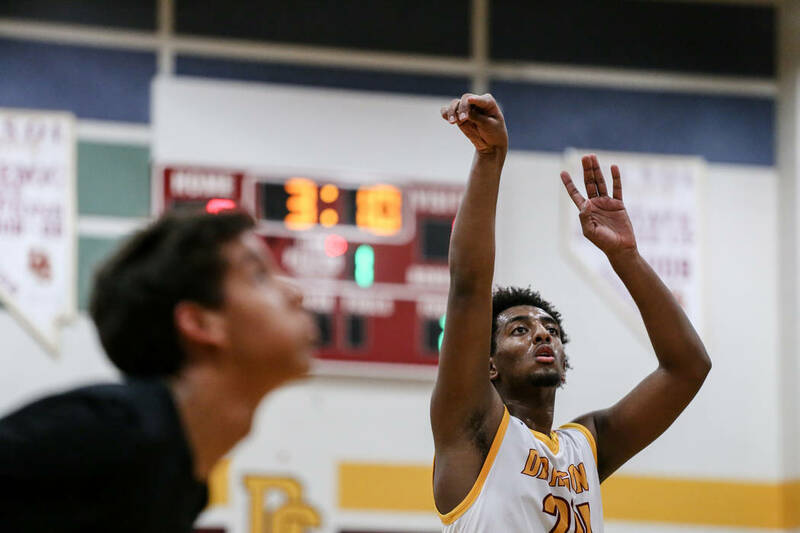 Del Sol turned loose balls into transition baskets. 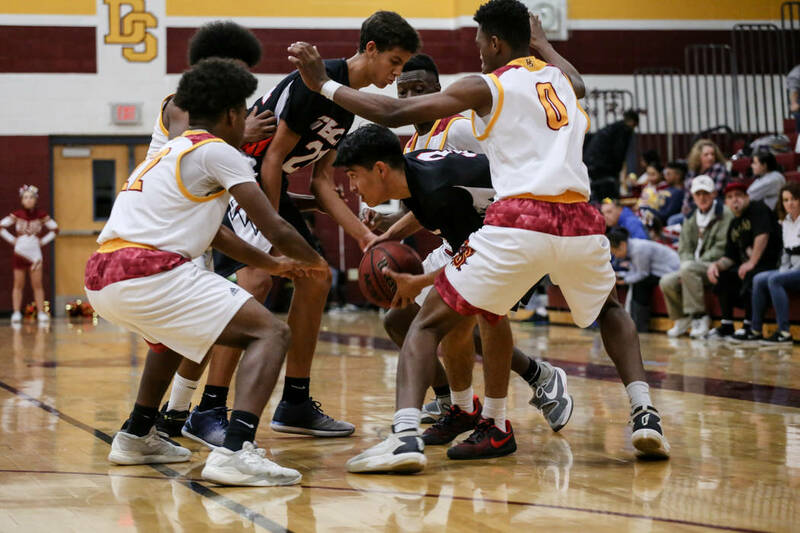 And a close game into a blowout. 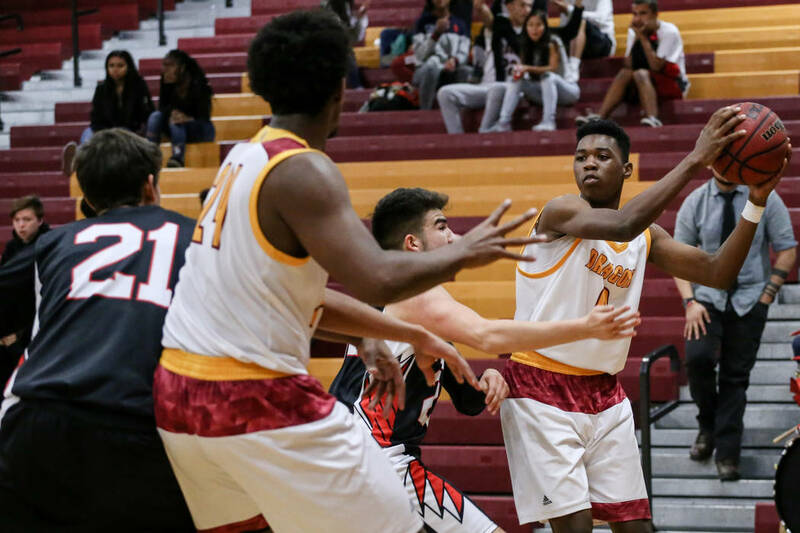 But Del Sol didn’t let up. 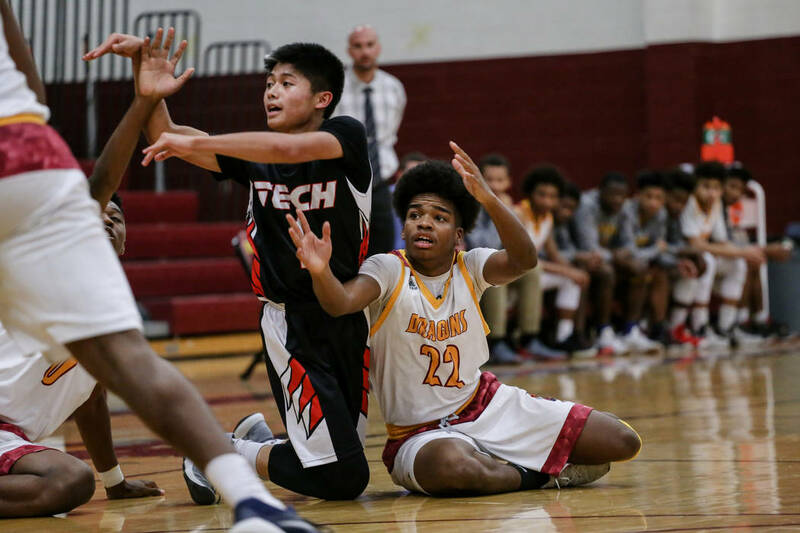 The Dragons turned to their half-court offense and picked apart Tech’s man-to-man and zone schemes. 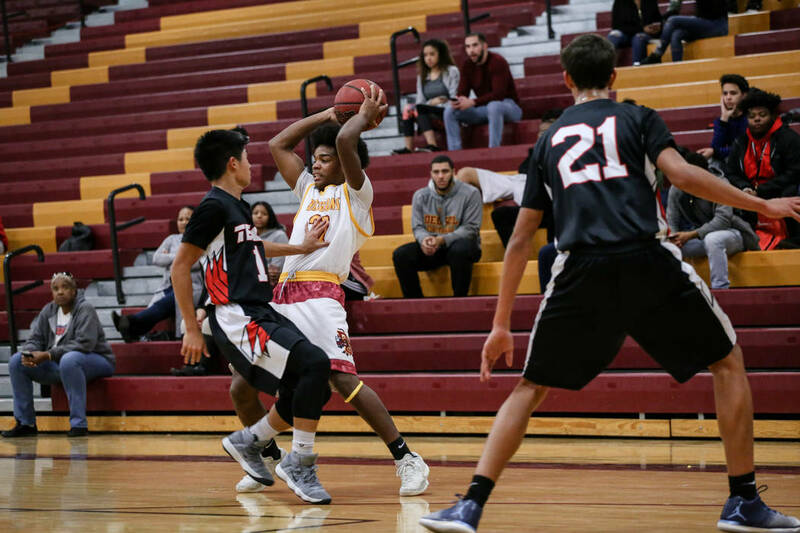 Seldon made two treys and scored 12 points in the third quarter so Del Sol’s starters could sit most of the fourth quarter.